(?) Wheelock married Rebecca Clarke, daughter of Rowland Clarke. Record Wheelock married (?) Ward. Record Wheelock was born in 1644. She was the daughter of (?) Wheelock and Rebecca Clarke. Record Wheelock died in 1726. (?) Ward married Record Wheelock, daughter of (?) Wheelock and Rebecca Clarke. Married Name Her married name was Fay. Tabitha Ward married (?) Fay. Tabitha Ward was born in 1675. She was the daughter of (?) Ward and Record Wheelock. Tabitha Ward died in 1755. (?) Fay married Tabitha Ward, daughter of (?) Ward and Record Wheelock. Ebenezer Fay was born in 1713. He was the son of (?) Fay and Tabitha Ward. Ebenezer Fay died in 1790. Jude Fay was born in 1748. He was the son of Ebenezer Fay. Jude Fay died in 1831. Married Name Her married name was Norcross. Betsey Fay married (?) Norcross. Betsey Fay was born in 1777. She was the daughter of Jude Fay. Betsey Fay died in 1829. (?) Norcross married Betsey Fay, daughter of Jude Fay. Emily Norcross married (?) Dickinson. Emily Norcross was born in 1804. She was the daughter of (?) Norcross and Betsey Fay. Emily Norcross died in 1882. (?) Dickinson married Emily Norcross, daughter of (?) Norcross and Betsey Fay. Emily Elizabeth Dickinson was born in 1830. She was the daughter of (?) Dickinson and Emily Norcross. Emily Elizabeth Dickinson died in 1886. Abigail Peake married (?) Johnson. Abigail Peake was born in 1700. She was the daughter of Jonathan Peake. Abigail Peake died in 1766. (?) Johnson married Abigail Peake, daughter of Jonathan Peake. Moses Johnson was born in 1737. He was the son of (?) Johnson and Abigail Peake. Moses Johnson died in 1815. Fanny Johnson married John Call. Fanny Johnson was born in 1764. She was the daughter of Moses Johnson. Fanny Johnson died in 1801. John Call married Fanny Johnson, daughter of Moses Johnson. John Call was born in 1761. Eber Call was born in 1791. He was the son of John Call and Fanny Johnson. Eber Call died in 1864. Charles Call married Henrietta Gross, daughter of (?) Gross and Catharine Hannah Smith. Charles Call was born in 1822. He was the son of Eber Call. Charles Call died in 1890. Married Name Her married name was Disney. Flora Call married Elias Disney. Flora Call was born in 1868. She was the daughter of Charles Call and Henrietta Gross. Flora Call died in 1938. Elias Disney married Flora Call, daughter of Charles Call and Henrietta Gross. Name Variation Walter Elias Disney was also known as Walt. Walter Elias Disney was born on 5 December 1901 at Illinois. He was the son of Elias Disney and Flora Call. Walter Elias Disney died on 15 December 1966 at California at age 65. American Animator. 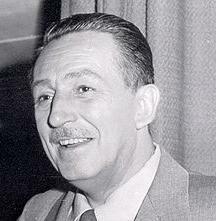 Walter Elias Disney is the famous creator of Mickey Mouse, Walt Disney World, and Disneyland. He produced, directed, and animated his many motion pictures. His first full length animated picture was Snow White and the Seven Dwarves. Name Variation Richard Greene was also known as Grene. Richard Greene married Joan Converse, daughter of William Convers. Richard Greene was born in 1527. He was the son of Robert Greene. Richard Greene died in May 1608. Anne Greene was born in 1662. 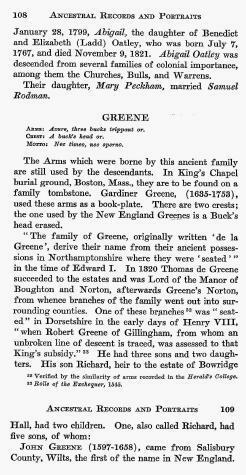 Anne Greene died in 1713. Susannah Spencer married (?) Reynolds. Susannah Spencer was born in 1655. She was the daughter of (?) Spencer and Susannah Griffin. Susannah Spencer died in 1681. (?) Reynolds married Susannah Spencer, daughter of (?) Spencer and Susannah Griffin. Joseph Reynolds was born in 1672. He was the son of (?) Reynolds and Susannah Spencer. Joseph Reynolds died in 1722. Elizabeth Reynolds married (?) Rogers. Elizabeth Reynolds was born in 1697. She was the daughter of Joseph Reynolds. Elizabeth Reynolds died in 1773. (?) Rogers married Elizabeth Reynolds, daughter of Joseph Reynolds. Stephen Rogers was born in 1731. He was the son of (?) Rogers and Elizabeth Reynolds. Stephen Rogers died in 1789.